The World Giving Index 2013, published today, ranks 135 countries based on the proportion of people who give money to charity, volunteer and help strangers. Researchers at Gallup surveyed more than 155,000 people worldwide during 2012 for the report, which is the fourth to be published by CAF. After falling to eighth from fifth in last year’s report, the UK has climbed back to sixth place and had the second highest proportion of people who said they give money to charity, which was 76 per cent. Only Myanmar scored higher than the UK for the proportion of people giving money to charity. The south-east Asian country is the highest-ranked new entrant in the index, in joint second place, mainly because of what the report describes as "an extraordinarily high incidence of donating money", with 85 per cent of those surveyed saying they gave money to charity. The survey found that levels of volunteering in the UK increased by three percentage points to 29 per cent in this year’s report. The proportion of people who helped a stranger in a typical month was also up, by nine percentage points to 65 per cent. Overall, the US was found to be the most generous country in the world, reclaiming the top spot after coming fifth last year. The US was followed by Canada, Myanmar and New Zealand in joint second place, followed by Ireland in fifth place. Australia, which was ranked first last year, fell to seventh place, followed by the Netherlands, Qatar and Sri Lanka. Overall, the world became a more generous place last year, the report says. The average percentage of people donating money, volunteering time and helping strangers all grew in 2012 compared with the previous year, despite a fall in the rate of growth of the global economy from 4 per cent to 3.2 per cent. John Low, chief executive of CAF, said: "It’s excellent news that the UK is sixth in the world for generosity and second for giving money to charity. With the difficult economic climate and rising living costs, it is humbling to see that the majority of Britons choose to give money to good causes every month. "We should be proud of the excellent culture of giving we have in the UK, but must not get complacent. There is still so much the government, businesses and charities can do to encourage greater giving and volunteering." 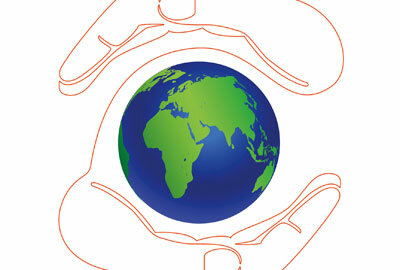 Low said developing economies were showing a huge surge in giving and volunteering. In India, 244 million people gave to charity in a typical month in 2012, up from 163 million in 2011. "It’s important that governments and charities in these countries work together to harness the giving potential of these growing middle classes to create an even greater charitable culture in these booming economies," he said.